We are proud to reveal our 2014 robot, Snapdragon. The six weeks of hard work documented on this build blog led to the creation of this robot. Over the last 2 months, we have played in 2 regionals, demoed our program at 5 events, and have developed strong bonds within the community. At both the Central Valley Regional and Long Beach Regional, we won the Industrial Engineering award, along with finishing as Semi-Finalists. We also won the Hard Hat Award at Central Valley and the Pit Safety Award at Long Beach. In between regionals, we decided to improve our robot and add an intake to our front, making our robot more versatile. Because of this, we were able to program a 3 Ball Autonomous, which we sadly did not have the opportunity to try at LA. We would like to thank our alliance partners from both events, 2443 and 1422 (CV) and 2637 and 5102 (LB), for being amazing teams to work with. We wish them the best of luck. We would also like to thank Team 3476, Code Orange, for working with us this build season and for allowing us to use their practice field. They have been amazing friends, and we look forward to working with them more in the future. Personally, this has been an amazing build season, my favorite so far. Over the last four years, our team has grown a lot, meeting challenges and expectations in ways that I could only dream about in my freshman year. We are very proud of our team and appreciate each and every team member. Although build season is done, we still have a lot of work to do and a ton of events to attend. 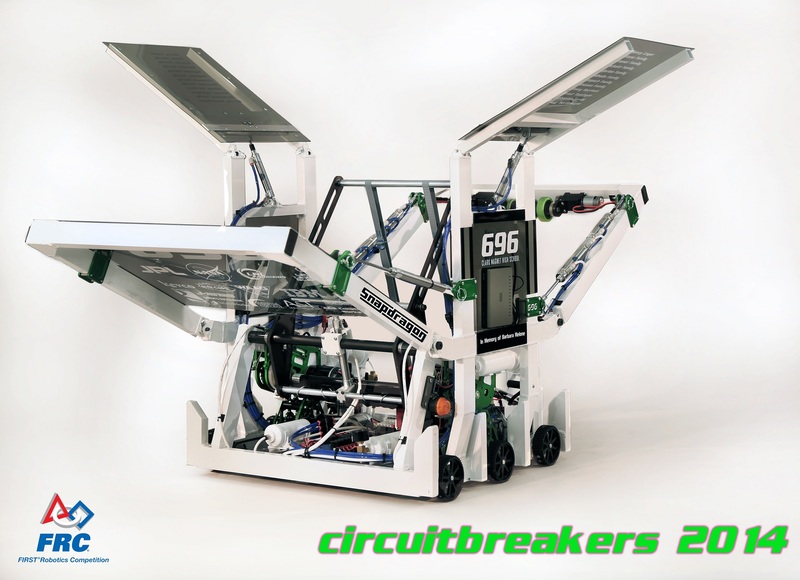 We look forward to the 2014-2015 FRC Season!